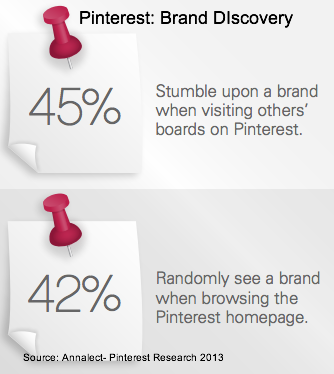 Participants use Pinterest’s visual eye candy differently than other social media platforms. For marketers looking to use it to build their brand and support the purchase process, understanding this point is key to attracting and engaging your audience on Pinterest. 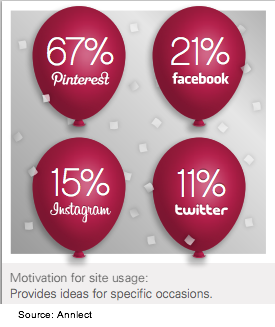 67% of Pinterest participants use the site to get ideas for special occasions based on research by Annalect. Pinterest tops Facebook, Twitter and Instagram in this regard. For marketers this means your Pinterest audience is in the market for your products. Actionable Marketing Insight: Offer visual content that meets your target audience’s needs. This translates to having a well delineated marketing persona and social media persona for each segment along the purchase path to ensure that you create appropriate visual content. More than two out of five Pinterest users come across a brand either on other people’s pinboards or on the Pinterest homepage. Brand discovery isn’t limited to brand boards. Actionable Marketing Insight: Encourage visitors and subscribers to spread your content on Pinterest. Incorporate your 360° brand into all of your visual content. Further, make your visual content pinnable and use a contextually relevant call-to-action. Pinterest users check products they see shared on the platform to gather more information. However, over half of Annalect’s respondents would need an incentive in the form of a discount or coupon to follow a brand. This isn’t surprising since this behavior happens across platforms. More interesting is the fact that 46% of respondents would follow a brand because it reflected their lifestyle. About a third of respondents use Pinterest to learn more about brands and products either by seeking out specific brands or via other people’s boards. Actionable Marketing Insight: Place visually engaging content that shows off your products. Also, provide how-to information visually so that potential buyers can see your products in action. Remember they may not be able understand how to use or style your products. Participant pins are an indicator of purchase intent for more than three out of five respondents according to Annalect. Further one out of five had purchased a product or service in the category. (Here’s other research that shows that Pinterest supports sales.) Actionable Marketing Insight: Monitor who is pinning images of your product and your competitors’ products as well as which products they’re pinning since this is an early indicator that these individual are in the market. 70% of brand engagement on Pinterest is generated by users not brands according to research by Digitas and Curalate. For brands this means that there’s an opportunity to increase following and engagement on Pinterest. 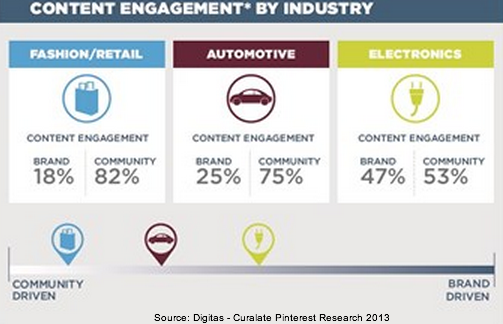 Here’s how engagement breaks out across fashion/retail, automotive and electronics. 82% of fashion and retail-related images are pinned by participants not brands. Top fashion/retail space brands average 46 repins for every pin. This shows a willingness to engage with these brands. User-generated fashion pins average 6 repins for every pin. Friday at 3:00 p.m. ET is the best time to pin to receive more repins than average because similar content competing for attention is limited. 75% of car related conversation and engagement is generated by the community. Top automotive brands average 3 repins per pin. Participants average 10 repins per pin. Fridays at noon ET is best time to publish automotive content. 53% of the electronics industry community generates pins. Electronics brands receive an average of 5 repins for every item pinned. User-generated electronics related pins average 14 repins. Mondays at 10:00 p.m. ET is the best time to post electronics content. 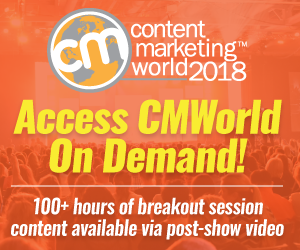 Actionable Marketing Insight: Based on your category focus, target your Pinterest content for optimal distribution, regardless of whether it’s when you’re working or not to be in sync with your customers and their needs. Consumers value Pinterest for discovering new brands and how to use them. To this end, make your content easy to share on Pinterest. What has your experience been building your brand on Pinterest? Do you just do branding or are you leveraging the power of Pinterest. 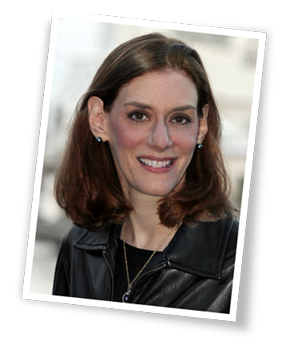 Tags Actionable Marketing Insights, Annalet, Chart, Curalate, Digitas, Pinterest, Research. Bookmark the permalink. I have found out that Pinterest is a really powerful social network with a vast potential of hugely increasing your website traffic. Posting images/infographics and other visuals that are a visual aid for your articles, then posting the to Pinterest and adding a link saying “read more at http://…” will eventually drive a lot of people at your blog and this is just one of the many strategies how you can use Pinterest at your advantage. Very Informative post,gives me a clear “Picture” of how to use Pinterest and engage with other users,thanks!